The week passed like a rocket. It was Friday evening and aakash was making plans about weekend. Off-course not alone. Over a week he had got new friends and sumit was his current best. Somehow they jelled and glued well. They both had similar thoughts on many things. Sooner will be times when you will get an explanation on why they became best friends in a week. Or you will never need to know the reason as the story ahead will make it crystal clear. Forgot to mention, sumit and aakash are roommates! Considering few suggestions the plan was fixed. Lavasa city. Aakash, Sumit and 6 others. The journey began to lavasa city. Look at the video aakash captured on the way! A moment it rains and next it’s sunny. Breathe taking journey. The Bike ride in rain, gives a storm from inside. You become a kid when you enter lavasa city. The swings, roller rides, slides and many others, all the 8 friends enjoyed to the core. Pulling each other down, pushing one from slide, funny pics and the loud gags. Believe me, it’s one of the best moments of life time. There is no replacement for this in the world, even if the same team meets at same place second time. Chai, nashta done! The tired people headed back to room after taking 100 snaps. The day waiting ahead was Sunday to wash clothes and sleep. Wow! First weekend, an awesome trip and life looks so much beautiful. Aakash made an entry in his daily entry and Saturday came to a meaningful end. By the way, while washing clothes on Sunday, aakash found a kerchief in his jeans, which was definitely not his. Eww! He threw it way. Don’t expect anything else! Is that kerchief related to that green dress girl?? 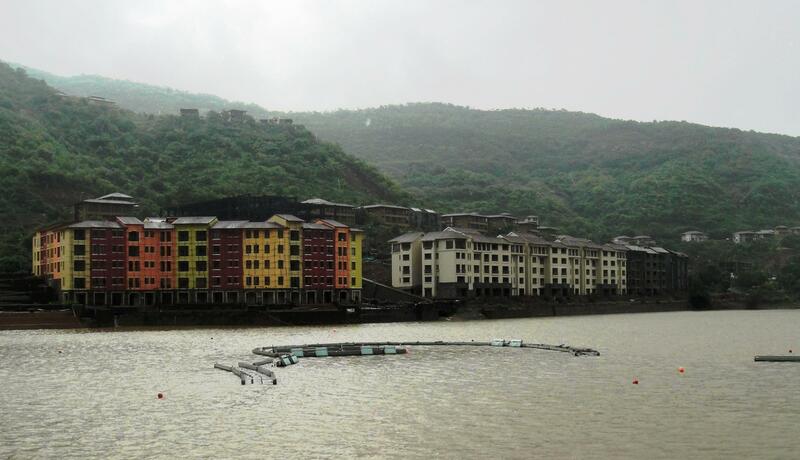 I so want to go to Lavasa City!!! The scenery in the video is beautiful…..
An interesting thing is going on here.. Let me stick to it. nice narration Prakash..